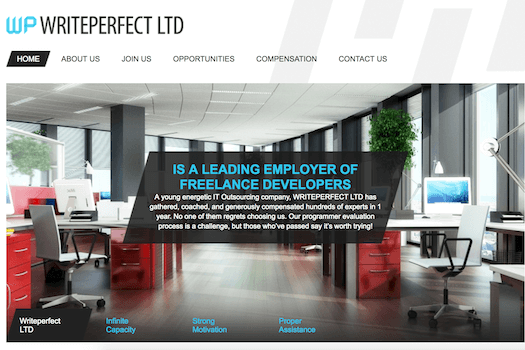 WritePerfect LTD is the Ukrainian company which has been in the business of e-commerce, and educational industry since 2005. The company owns many essay writing services including GradeMiners.com, MasterPapers.com, PayForEssay.net, PaperNow.org and others. Its academic help websites provide average quality papers, in most cases delivering on time. In addition to that, the writers usually follow the guidelines of the clients. There are also discounts, live chat, and reasonable prices. You can check my GradeMiners review which describes the service in detail. WritePerfect LTD does a decent job when it comes to its essay writing services. It has both happy and unhappy clients, but the vast majority is satisfied with its services.